Home insulation is a must in Chicago and the Illinois suburbs, especially if you have an attic! Attics are one of the biggest sources of energy loss in homes and often cause heating bills to be unnecessarily high. ThermaSeal / Lakeside provides attic insulation services to keep your home properly sealed and insulated throughout the winter. 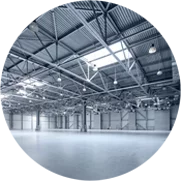 We offer free quotes for both residential and commercial attic insulation services in Chicago. Whether you need to re-insulate or insulate for the first time, we have you covered. Get a FREE QUOTE for attic insulation services in Chicago today by contacting us online or giving us a call at (800) 836-2535! What Are the Different Types of Attic Insulation in Chicago? 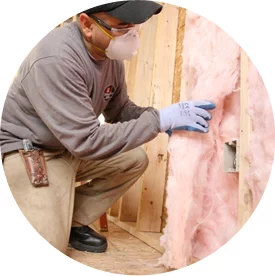 Find out what the best type of insulation is for your home and budget—give our attic insulation team in Chicago a call at (800) 836-2535 today! In fact, homes with radiant barrier insulation (one of the best types of attic insulation) can be approximately 10 degrees cooler than homes without attic insulation in Chicago. This can make a huge difference, particularly when it’s the middle of July and the second story of your home can get really stuffy! To install attic insulation in Chicago, call (800) 836-2535 or contact us online! What Are the Benefits of Attic Insulation Installation? Insulating your attic is one of the improvement projects that pays off the most. Though the upfront cost may seem really high, attic insulation in Chicago is worth it in the long-run—you can save hundreds of dollars a year! According to the U.S. Department of Energy, it’s estimated that you can save up to 10% annually on your energy bills with attic insulation installation. Any home in Chicago can benefit from more attic insulation, especially homes with air ducts in the attic, asphalt shingle roofing (which doesn’t reflect heat from the sun very well and gets extremely hot) or little to no shading from trees. Are you ready to install attic insulation in Chicago? Call (800) 836-2535 or contact our home insulation installers online! 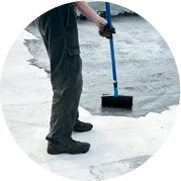 If you need to add more attic insulation to your home in the Chicago area, look no further than ThermaSeal / Lakeside Insulation. Let us help you start saving money today—our attic insulation installation experts are just a call or click away! Contact us online or by phone at (800) 836-2535 to get a FREE quote for attic insulation in Chicago!